The 1-1/2 Yard Steel Concrete Bucket 440-R by Garbro is an all steel concrete bucket has a rated capacity of 1-1/2 cu. yd. for small to medium batches of concrete. "R" Series Lightweight Round-Gate Concrete Buckets are 30% to 40% lighter than the standard bucket. 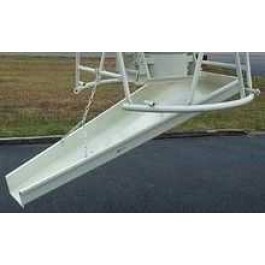 This concrete placement bucket is ideal for the general contractor. 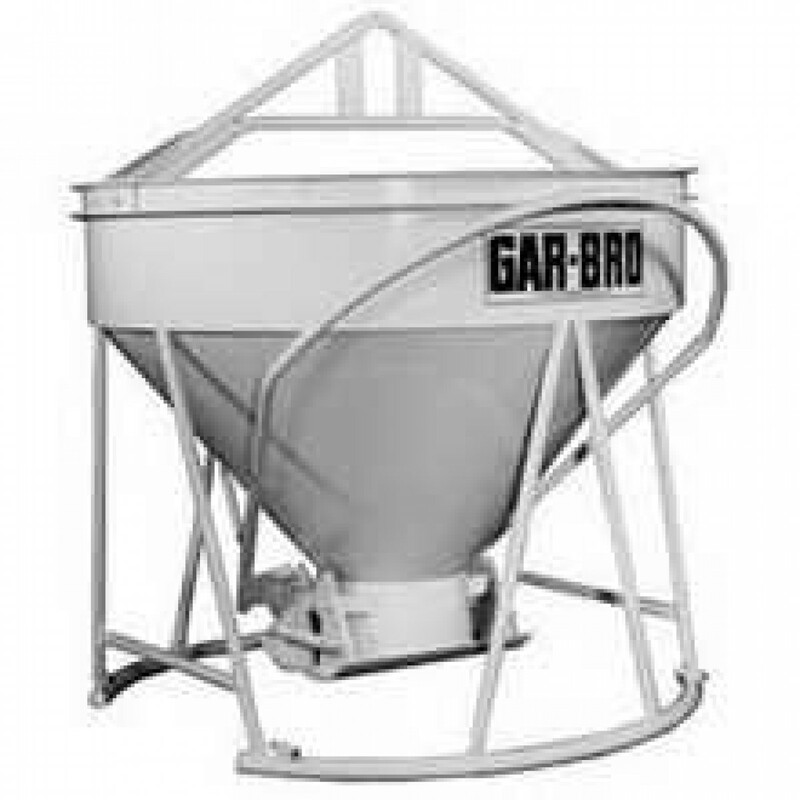 The Gar-Bro Manufacturing 440-R lightweight Concrete Bucket features a 58" easy access loading height. Ideal for large, heavy duty concrete jobs. Rated Capacity: 1-1/2 cu. yd. Level Capacity: 40-1/2 cu. ft.
All steel frame construction provides dependability, durability and strength for years to come.